Bologna Invite is coming and most of the national teams are looking to start their preparation in earnest this weekend. It is a great opportunity for the players and coaches to test themselves against the opposition they will face in either the European Ultimate Championship (EUC) in Hungary or the World Under 24 Ultimate Championship (WU24) in July. In the men’s division, there are two pools of seven teams. Pool winners go straight to the finals. There will be some interesting match-ups during the weekend between senior and U24 teams. Some teams still have to shape the final rosters and others are missing players, but the standards are high and will be a great way to kick off the ultimate season for these national teams. Here is some background info on all of the teams attending the Bologna Invite. Format: Two pools of seven teams. Pool winners go straight to finals. Great Britain is the reigning champion in Europe winning a gold at the EUC. This weekend GB will bring two teams as their roster has not been finalized. The mentality of the team is to practice and improve the tactics and the fundamentals they have in the playbook. The squads are split in terms of level with GB 1 being the more established side and GB 2 having more players on the bubble trying to fill specific roles on the team. Though it should be said that even the players on GB 1 have not yet secured a roster spot so every GB player is not only fighting against the toughest opposition this weekend but also fighting for a spot on the national team in Hungary. GB will bring some very strong rookies to the senior GB men’s squad such as Conrad Wilson (European Youth Player of the Year 2018) and William Rowledge (European Defensive Player of the Year 2018). They will join the likes of Justin Foord, Ashley Yeo and a host of other Clapham stalwarts. Captain Josh Briggs said, “…the way we’re playing is quite different from previous GB teams so it is important we feel confident within our new frameworks and enjoy playing together…” Though they are split in terms of level, GB 2 will still be very strong and it is definitely possible that we may see two GB teams match up in the final this weekend. Austria’s Wolfgang Mitterer told us, “we are ready to participate in the tournament with a mixture of new and old players…”. The team will have to start building chemistry since they have players from many different club teams and different on-field tactics. Bologna Invite will be useful to try different O lines and D lines throughout the tournament to see which players work best together. The group looks fit and will be bringing a full roster to Bologna. Austria placed fifth just ahead of Italy at the last European Championship with a very young team and great physicality. This year’s team is looking to improve that placement in Hungary. France got a bronze medal at the last EUC. They proved to have a solid program throughout the years, always placing high on both grass and sand. In the upcoming weekend France will challenge their players to test their skills and fundamentals against tough opposition. However, it is unclear how strong this team will be with the departure of a number of top players to the AUDL this year. Look for big contributions from Eric Becker, Francois Zoubir and Nasser M’Bae. They’ll try to bring intensity and experience to the table. The roster will be complete and has some young players that will debut with the senior men’s team this weekend. France vs. Italy U24 will be a key game to watch. 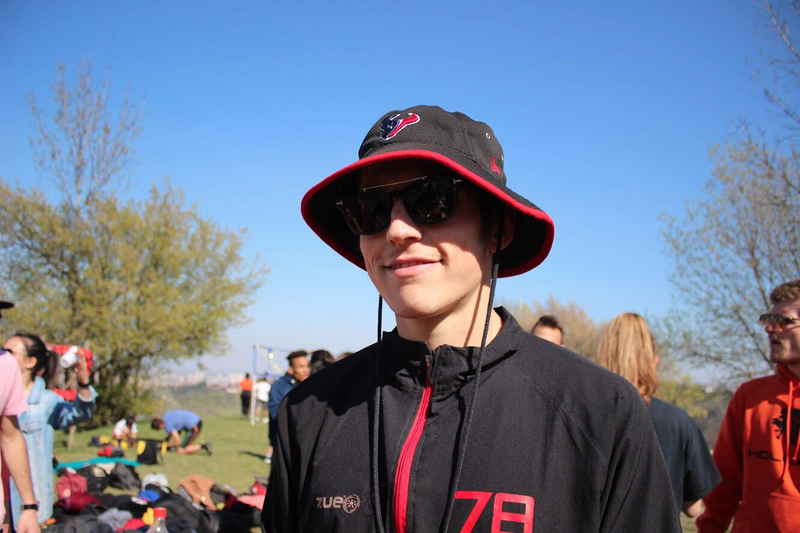 Slovakia is a young ultimate nation with upcoming juniors who practiced their skills in the first ever Slovakian national team some years ago. The players have great physical skills and they are ambitious. The team wants to improve their affinity with the disc and test the mind of the players in stressful situations. The coach, Matej Surovy, also wants to see the team as a whole and improve the group spirit during the weekend. Even though the team will not be complete this weekend, coach Surovy is confident in a good performance in Bologna. Switzerland has a close bond between their senior national team and the U24 squad, both of which will be in attendance at Bologna Invite. In fact, both teams trained together to help those players who play on both squads and to improve as a nation with same tactics and plays. The team is solid and has been playing together for two years or more. They have a strong core of Freespeed handlers in Casper Muller and Luca Miglioretto. They added some young players compared to the last cycle, and they will keep training together open and U24 throughout the 2019 to be ready for Worlds in 2020. Switzerland will be missing their captain, Tobias van Baarsen, and a couple of other players this weekend but both teams will have a healthy roster and are looking to challenge every match-up in Bologna. Italy U24 was the surprise of Worlds in Perth, putting up an impressive final against the United States last year. This summer will be the last year for some of the best players on the roster like Luca Tognetti, Simone Gasperini and Lorenzo Pavan, and they will do their best to make the most out of it, trying to replicate the success they had in Australia. Bologna Invite will help coaches underline weakness and strength of the team along with building confidence and team spirit between players, especially the new juniors that have made their way onto the squad for the first time this year. Italy U24 is under intense physical preparation and ready to play with a couple of players missing due to minor injuries. Italy U24 wants to prove that Perth was not just a one-off Cinderella story in Ultimate and play tough matches against top senior and other U24 teams in Bologna this weekend. Germany’s last generation of U24 players had a great outing in Perth, Australia last year, now they seek to shape a new team with juniors coming up from one of the best youth programs in Europe. The Bologna Invite is set to be the last step before deciding the roster for Heidelberg, the weekend will be intense for player and coaches. “We tried to build a strong team in terms of skills and deep understanding of team mechanics…” said coach Tim Buchholz. Bologna Invite will help players to find the right roles on the team and understand important in-game situations. Germany U24 are focussing on team-building first this weekend, even if it means losing some games along thew way. Germany has always proved to bring massive experience on the pitch with a very organized national team. Coaches Mike Nash and Stefan Rekitt are confident because of a balanced roster that combine new players and the international all-stars that are well known in Europe. Germany has proved through the years to have one of the best youth programs and the young players coming up to the senior men’s team know each other already through the youth scene aiding in a seamless transition to the senior open team. Even with a focus on chemistry building, Germany should be a favorite to make the final in Bologna this weekend. Denmark is looking young and fresh in this year’s iteration. Though they are young, they are ready to challenge some big teams this weekend. Bologna Invite will be a first step for Denmark ahead of an important two-day national clinic that will be held in late April. The team maybe lacking of some experience but Denmark has always been a disciplined and tough side. Look to young stars Jakob Faurbye and Andreas Knudsen to show what they can do in their first outing with a senior men’s national team. Italy is going through a odd year. The U24 team is young and strong, but the senior team is lacking some players due to U24 Worlds. Some U24 are participating in both tournaments, but those players have to give priority to the U24 squad this weekend and this will affect Italy’s senior team strength in Bologna. This challenge will test the team’s limits and help the bond with some of the newer players on the squad. Italy is expecting to give it all on the field and test new tactics used during tryouts this weekend. Team Ireland has always been fun to watch with a dynamic style of play and impressive hucks. This weekend the Irish will miss couple of young players due to college nationals in Ireland. The roster is not full but the short games will help the team to get along and test their intensity in field against high level competitors. In previous iterations of the national team, Ireland has typically played well in preparation tournaments with upsetting wins and this weekend they won’t hold back from any challenges. This year’s squad returns only eight or nine players from previous Irish national teams, so Bologna Invite will be useful to create synergy among a diverse group of young and old players. Ireland wants to build a positive mindset that they will take all the way to the European cup and take advantage of the sunny weather, because they struggled with a very rough winter. The Czech Republic always competes at high level tournaments in both club and national teams. Precise offense and a height advantage give them a wide range of opportunities to score. The team is introducing a few young players to the men’s national stage, but the core is made up of experienced international players. As other teams in this part of the season they want to see how their players from different clubs get together on the field. They want to try to understand which strategies work best with both their O-Line and D-Line. They won’t hold back against the top teams and push hard for the result. The roster will have some gaps this weekend but the team can count on key players this weekend in Bologna to chase some good wins. See Great Britain 1 above. Giovanni Santucci has played ultimate for about 10 years and is still going. He plays for CUS Bologna. He is studying sports business and hopes to help the ultimate community as the sport grows. The highlight of his career so far is winning the European national championship with team Italy U20 in Venenedaal, The Netherlands. Comments on "Bologna Invite 2019: Tournament Preview (Men’s)"